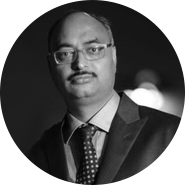 Founder of Kartik Group of industries he found his passion for entrepreneurship in his early days. His drive for experimentation has led him to a conglomerate that acts as a hub for all your textile needs. 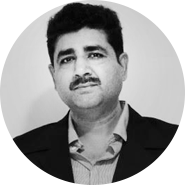 He has also dealt with various projects in the real estate sector. Textile processing being one of the most polluting industries in India sparked his interests in Environmental Technologies sustainable living and wholesome approach towards the society. This led him to be one of the founding fathers of the one of the largest WWTP's for textiles in Aisa. Founder of one of the largest textile processing units in the region, he has been very passionate about technology and the environment with his interests ranging across the spectrum from textile to the environmental sector. He is the founding chairman of one of the biggest textile WWTPs in Aisa (PEPL). His ambition and technical expertise have led to a horizontal expansion in textiles with forte in challenging specialty fabrics. He is also at the forefront of fight against pollution by actively upgrading PEPL and working towards improving the industrial scenario. A budding entrepreneur and a dedicated workman, Harshad Fatehpuria is caving the path for the future of this company under the mentorship of its founders. Graduated with a (Hons) in Economics and Finance with experience in Engineering in the United States, he has worked on several projects ranging from textiles to technology solutions. He has also been involved in NGOs working towards the welfare of underprivileged children in various capacities. His passion for learning and ambition is reflected in his work. Aditya finished his Bachelors in Chemical Engineering from the University of Leeds in the UK. He exudes the drive to become a pioneer in the textile processing industry, in addition to his passion towards ensuring and enabling a cleaner environment and sustainable growth. 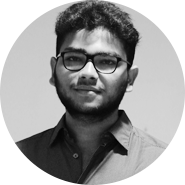 Aditya being the youngest and latest member of NatureTech is already striving hard towards designing and discovering cutting-edge technologies that are best suited and most cost-effective for our clients. 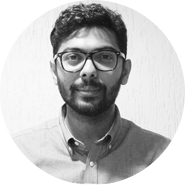 As the Research Head of NatureTech, Avni has the responsibility for growing the company globally by discovering modern technologies to aid in enabling sustainable industrial growth. 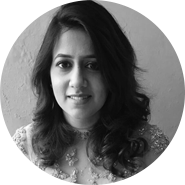 Prior to joining NatureTech, Avni started her career by working with the worlds’ largest humanitarian organization, the United Nations; Avni has grown to show keen interest and passion towards addressing environmental issues. In view of which, Avni is also currently completing her Masters in Sustainable Development from SOAS, University of London, and holds an Honors degree in Economics from the University of Toronto, Canada.